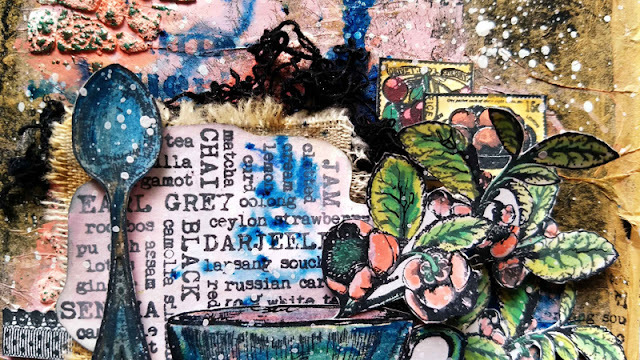 Kate here today, and I have a little tea-themed card using some of the gorgeous new Fresco Finish Paints. Those of you who follow my blog know that I am obsessed with anything tea related. I knew that I had to have this stamp set when I saw it as that tea cup and spoon were calling to me! I used all these beautiful paints on my card but I love the newest colors. 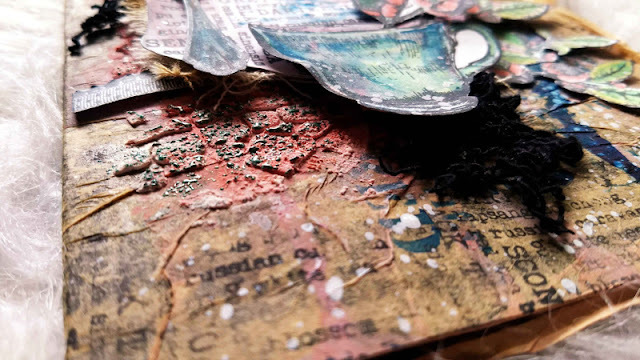 The base of my card is lightweight chipboard. 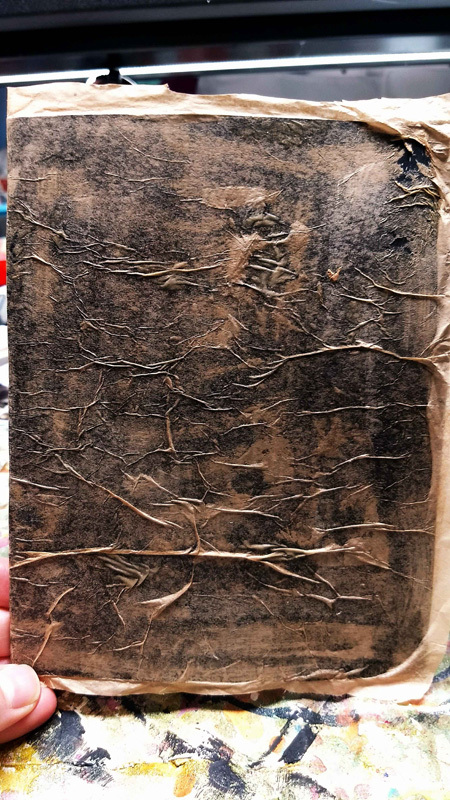 I covered it with black gesso before adding brown tissue paper. I used grunge paste with the Scrapcosy Stencil 105 in the background. 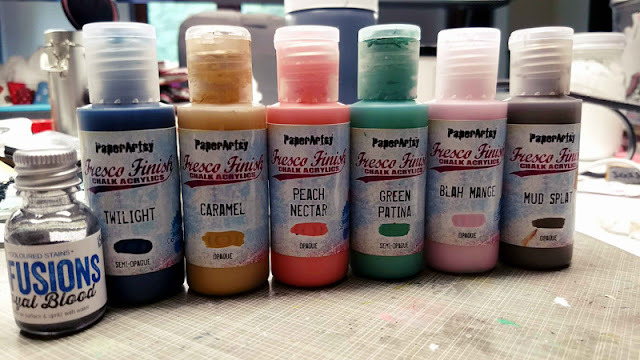 I also stenciled with the Twilight Fresco Finish paint. The background was sprayed with Royal Blood infusions, dripped with Blah Mange paint and stamped with the 'tea' word-cloud.. The images from ESC16 have been stamped in black and then painted with Fresco Finish Paints. 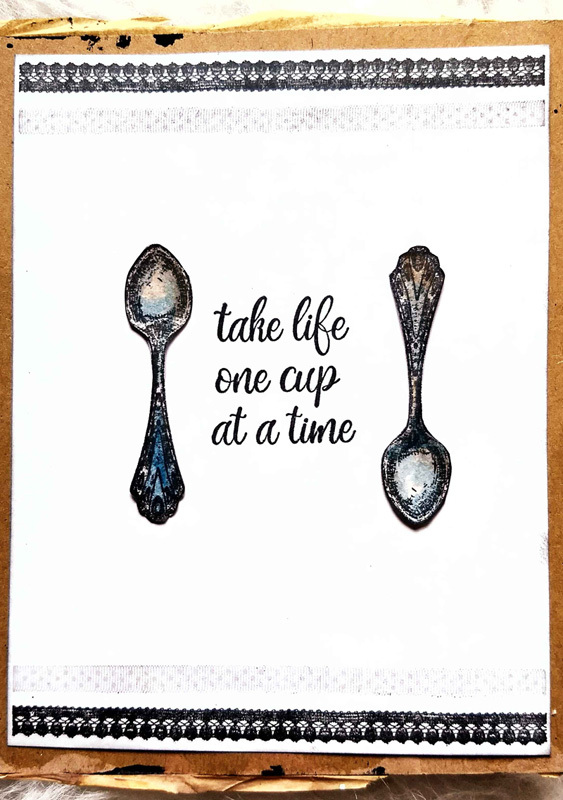 The inside of the card has been stamped with a border, sentiment and the spoons. Lastly, I layered all the stamped images, fibers and splattered gesso over the completed card. I can see many more uses and projects with these stamps. I am looking forward to all the possibilities. I don’t usually make cards but this set drew me out of my comfort zone as it was perfect for a friendship card. Thanks for stopping by. This is gorgeous Kate. The recipient will love it! What a gorgeous layered piece - the dimension is spectacular, and the teacup and spoon look absolutely stunning in their blue-green shading. 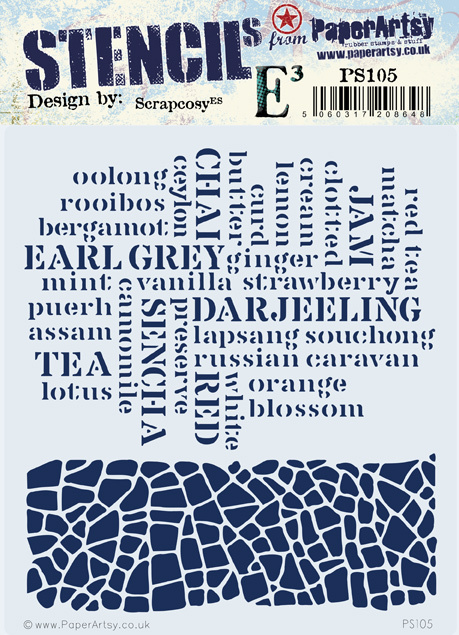 I love tea leaf sprigs - and you've certainly moved that stamp set way up my wishlist! Delicious colours. 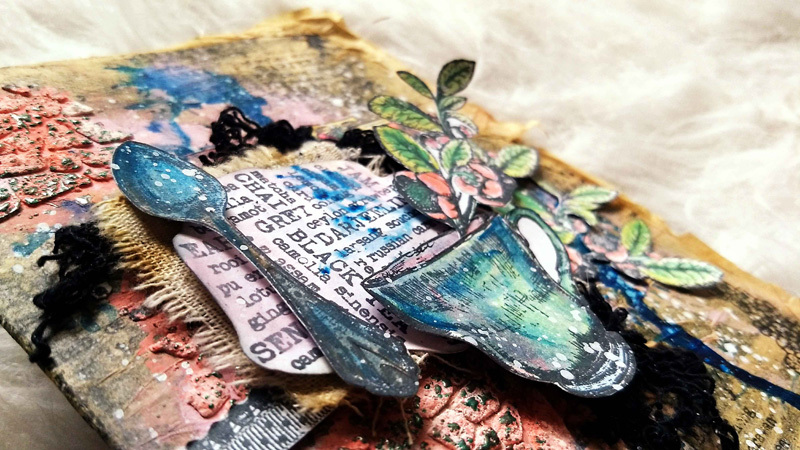 Wonderful layering and great texture and combination of stamps and stencils. Fabulous colours too x.
Oooo! Loverly-chubbly Kate! 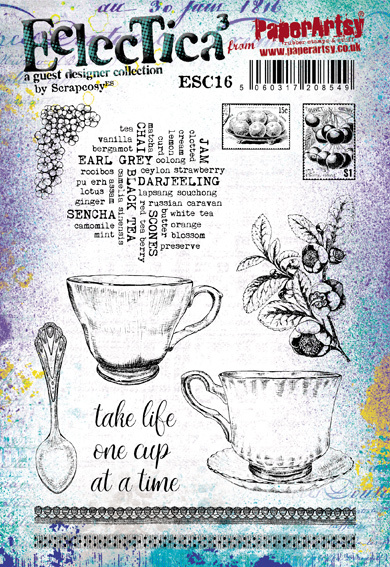 I HAVE to get this stamp set and stencil because me and my hubby (or should that read "...my hubby and I are..." to be more proper, as befitting the very English tradition of 'taking tea') are becoming connoisseurs of anything to do with the tradition of taking afternoon tea. Retirement will suit us both very well me thinks! I was brought-up, some people say they were dragged-up, having these meal-times ~ Breakfast - Elevenses (11a.m.) - Lunch - Afternoon Tea - Supper or even 'High-tea' on special occasions/holidays! It wasn't until I was a teenager that I realized people ate diner too - or had it instead of tea / 'High-tea' minus the children - lucky/spoiled Father! I was always more of a coffee drinker pre-marriage ~ but a meal isn't a meal without a mug of Tetley's ('make tea-bags go round') or Yorkshire Tea for my OH's family. Personally I can't drink anything but water - or wine - with lunch/dinner. Tea and gravy don't go well together! BUT at (afternoon) tea-time it HAS to be tea from a china cup and saucer/mug! 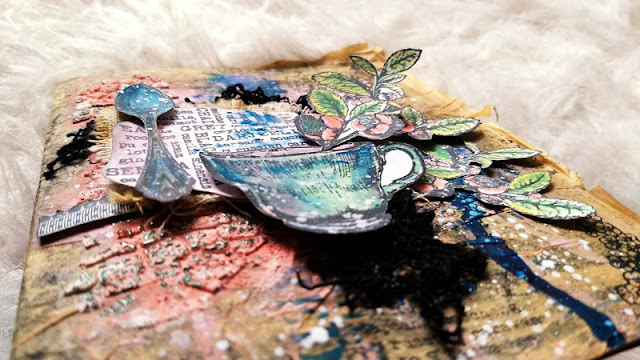 Fabulous project - I love all those gorgeous layers!